Greg and Eileen Meyer of Santa Cruz, CA were recent visitors to Isla Colon. Greg had contacted Pat Wade, a resident of Boca del Drago, through Birding Pal about doing some birdwatching during their stay on Isla Colon. 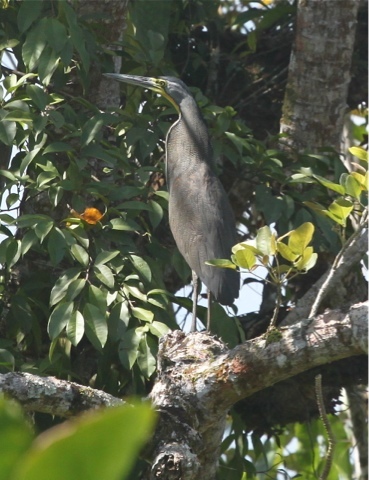 While boating down the old banana canal between the Drago cut and the Changuinola River on Feb. 17 they sighted and photographed a Bare-throated Tiger-Heron. 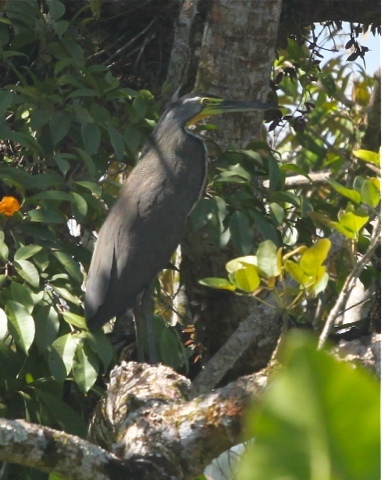 The bird was seen about 1 km from the entrance of the canal. According to Angehr and Dean's field guide, there has been only 1 other report of this bird on Panama's Atlantic coast, and that was from the easternmost part of the coast.